Every year our Paver Manufacturer selects a few projects to be professionally photographed and used in their marketing. We are proud to have two of our jobs selected for the 2019 product catalogue featuring our Installation of the Belgian Cobble which is the circular stone, the Three Pieced Dublin Cobble, Castlemanor Grana Colonial colored seating Bench, and the Diamond 9D retaining wall with staircase. We are proud to be acknowledged in such a way that reflects the attention to detail of our Installation team and the creative possibilities that Hardscapes allow for. 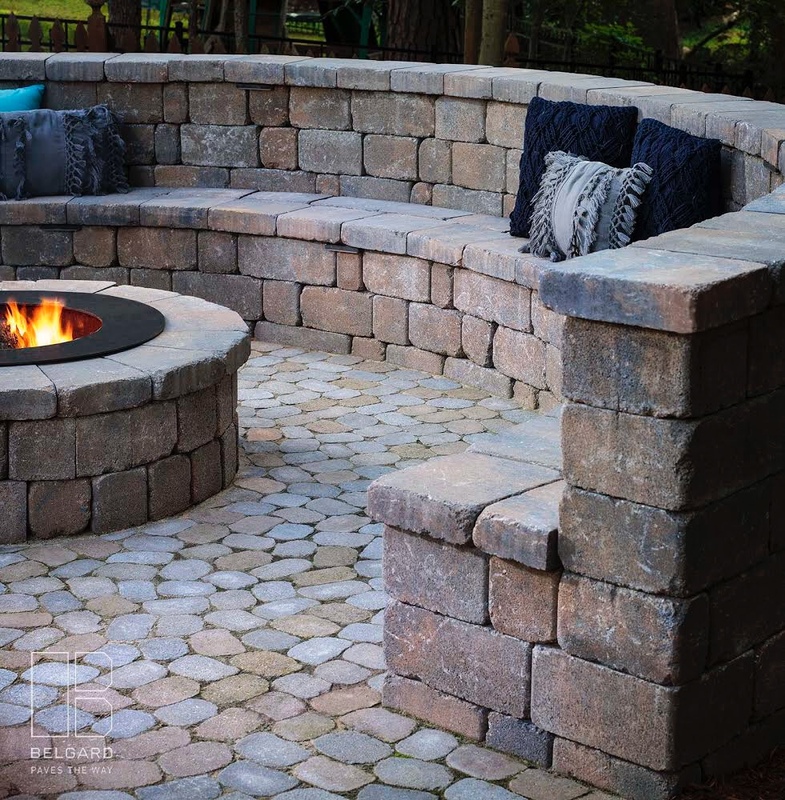 We are passionate about Paver Patio Installations, Retaining Walls, and Outdoor Living Spaces in general.